Commercial Refrigeration, Winter Haven, FL | Johnson's Mechanical Inc. Commercial Refrigeration, Winter Haven, FL | Johnson's Mechanical Inc.
We offer convenient preventative maintenance plans that make it easy to keep all of your commercial refrigeration units running their best in Winter Haven. When it comes to commercial refrigeration, you can’t afford to have one or more of your units go out. Not only do your customers rely on specific items being kept at the right temperature, but your business can also suffer a loss if your commercial refrigeration units are not kept in good shape. At Johnson’s Mechanical Inc., we are equipped to provide the high-quality services you need for the freezers, coolers and other refrigerated units at your business in Winter Haven, Florida. Repairs – It’s inevitable that you will need repairs on your commercial refrigeration units at some point. Luckily, our experienced team is your number one choice for the job, whether you need something small or a major fix. Maintenance – Additionally, we offer convenient preventative maintenance plans that make it easy to keep all of your refrigeration units up and running their best. Just let us know if you would like to discuss a maintenance plan, so you can have peace of mind when it comes to keeping your items at the proper temperature all year long. Installation – Furthermore, should you require new commercial refrigeration units to be installed, you can rely on our team to provide expert installation services that won’t leave you guessing about the efficiency and quality of your units. 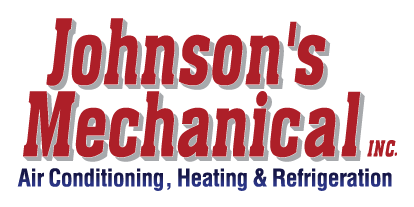 If you own or operate a business in Winter Haven that utilizes commercial refrigeration on a routine basis, give us a call at Johnson’s Mechanical Inc. for all your servicing needs. We look forward to serving you!